Feature: The Temple of Earth is a solemn and elegant royal temple. It is also the place where royal families offer sacrifices. Besides, it is also the largest temple where people make sacrifice to the God of Earth. The Temple of Earth is also known as Fangze Temple, which was built in 1530. 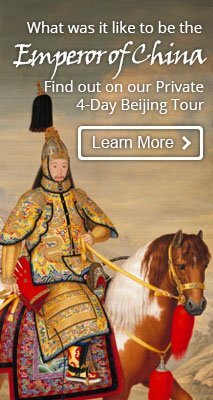 Reportedly, there were 14 emperors offered sacrifices to the God of Earth for 381 years until the Qing Dynasty was overthrown. In 1925, the Temple of Earth was open to public as a park. The temple covers an area of 37.4 hectares and is shaped like a square. 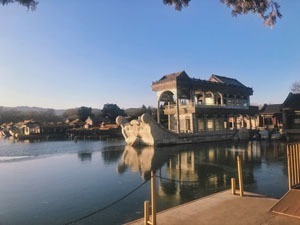 The layout of the temple is totally in accordance with Chinese traditional beliefs such as the “Heaven is round and the earth is square” and etc. 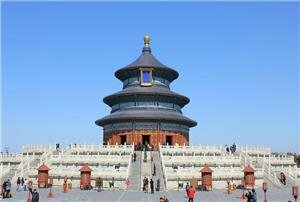 At present, there stands the Fangze Temple, Huangdi Hall, Animal Hall, Food Hall and God Hall in the Temple of Earth. Reportedly, there are 116 different kinds of plants in the Temple of Earth Park, which occupies an area of 114,000 square meters. The urban green coverage rate accounts for 72%. There are 168 ancient trees with over one hundred years and more than 80 trees with more than 300 years. Since 1985, Spring Festival Temple Fair has been held in the Temple of Earth. Usually, the temple fair will start from the last day of the previous year to the seventh day of the first lunar month. During the fair, there will be various cultural performances. Many folk cultures have been well preserved through the temple fair. The main layout of the Temple of Earth is facing north. Main buildings are circled with square walls. It has inside temple and outside temple. The central axis is close to the southwest side. 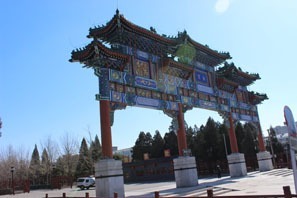 The front gate stands at the west side of outside temple, facing to the Andingmen Street. There are 7 groups of buildings in the inside temple. Ancient people believe that royal people should make sacrifices to God in a solemn place. Therefore there are few buildings with no special decorations in the Temple of Earth. 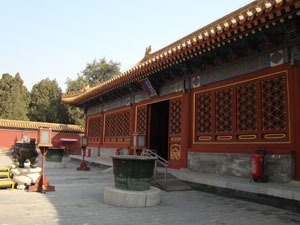 The main buildings of Fangze Temple and Royal Hall are situated at the south side of the central axis. The sacrifice stage is in front of the Fangze Temple. Behind the Fangze Temple is the place where sacrifice to God is held. The Food Hall is located at the southwest side. Fangze Temple is the main building of the Temple of Earth, where the royal family held sacrifice ceremony. The temple is square in shape and circled with water channels. The square shape stands for the saying which goes like “Heaven is round and the earth is square”. Jifang Park is located at the southwest of the outside temple, occupying an area of 6,000 square meters. It is a classic park which collects precious plants and gold fish. Inside the park, there are pavilions, halls, artificial mountains and pools. Besides, there is a greenhouse with 12 meters height, covering an area of 900 square meters. Inside the greenhouse, there are various trees, flowers and artificial mountains. Open Time: 6:00 a.m.—21 p.m.
Transportation: Tourists can take Bus No. 104, 108, 11, 27, 13, 62, 18, 328, 358 407, 116 and 807 to get off at the Temple of Earth Park. 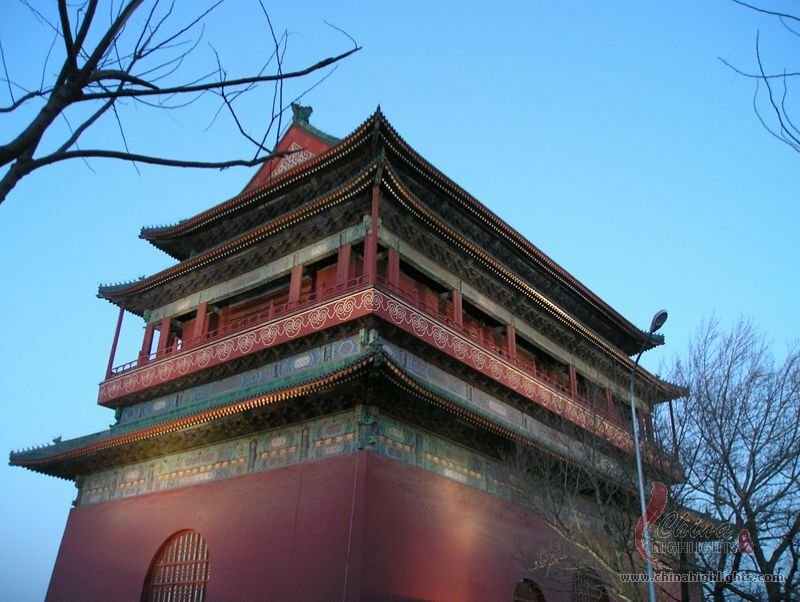 Besides, tourists can take subway line 2 or 5 and get off at the Lama Temple Station. 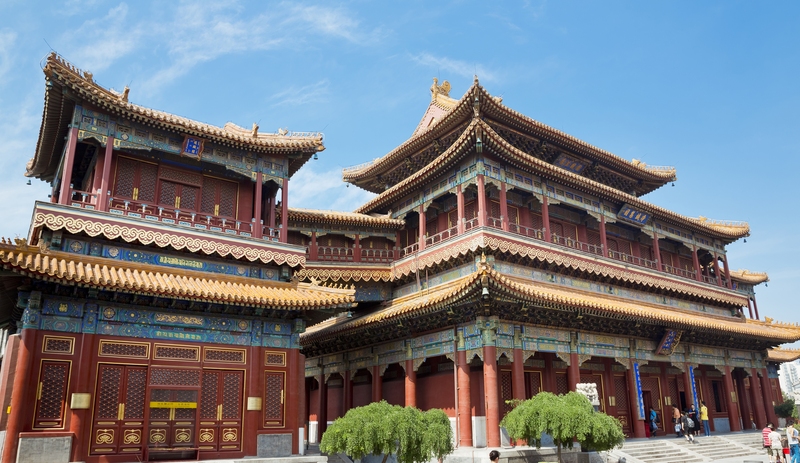 Nearby Spot: The Lama Temple.